Elegant and beautiful! 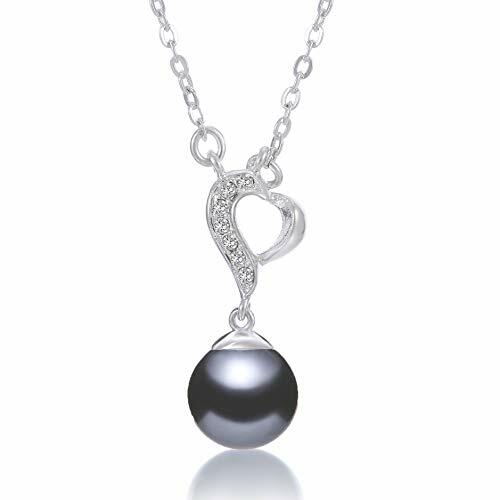 AAAA Japanese freshwater cultured pearl pendant necklace! These AAAA white freshwater cultured pearls are measured at 6.0mm, harvested in the cold water just off the northern part of Japan, they form a glow only offered by a longer growing season. Cultured pearls are perfectly round with very good luster, thick nacre, and clean/smooth surface. They are AAAA quality the highest grade of these cultured pearls. The rareness of the cultured pearl's impressive top quality making them truly one of a kind. The cultured pearl pendant necklace finished with 14K white gold plated on 925 sterling silver setting and 18 (1.2grams) inch matching box chain. Perfect gift for wedding jewelry, bridesmaid jewelry, bridal jewelry and they are also great gifts for special occasions, mother's day, birthday, graduations and anniversary. This pendant necklace comes an elegant leatherette gift box wrapped in a stylish quilted patterned paper to ensure the most beautiful presentation possible and a certificate of authenticity to verify the quality and source of the cultured pearls. All our cultured pearls are certified by GIA (Gemological Institute of America) Cultured Pearls Graduate to make sure the strictest of standards! 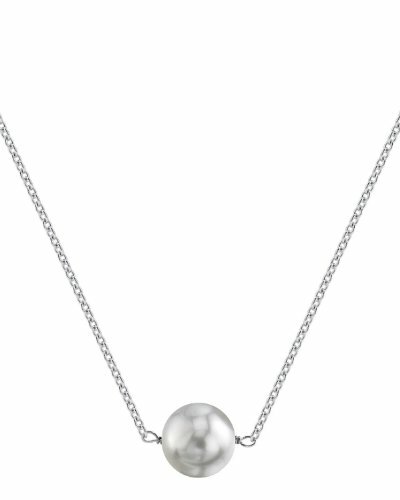 This 10mm White South Sea pearl pendant is made with a gorgeous AAA quality pearl with Very High luster. All White South Sea pearls are imported directly from the shores of Australia. This pearl pendant is comprised of the highest quality 14K gold (see specification table for exact gold weight). Multiple pearl sizes may be selected for this pendant. All of our pearl pendants are made on site, and our experienced staff of GIA certified specialists pay careful attention to all details in order to create a truly beautiful pearl pendant. The pearl pendant comes in a beautiful jewelry gift box. All products come with a genuine cultured pearl guarantee, verifying the quality and source of the pearls. 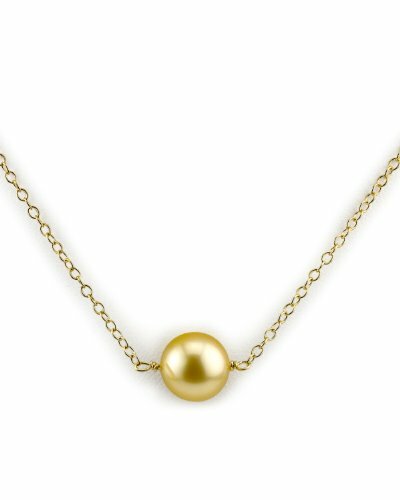 An elegant golden South Sea cultured pearl necklace in a 14k yellow gold chain. 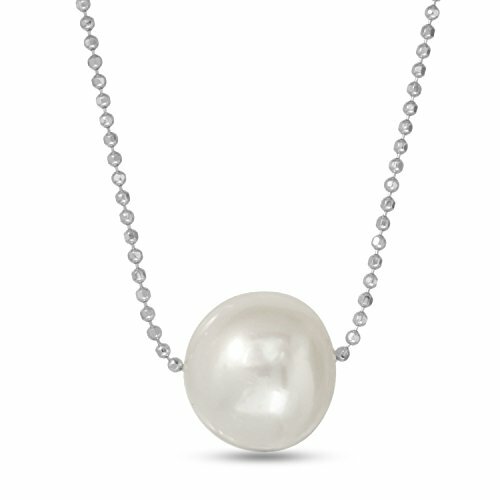 The necklace is 18", with a lustrous golden South Sea cultured pearl in the center. 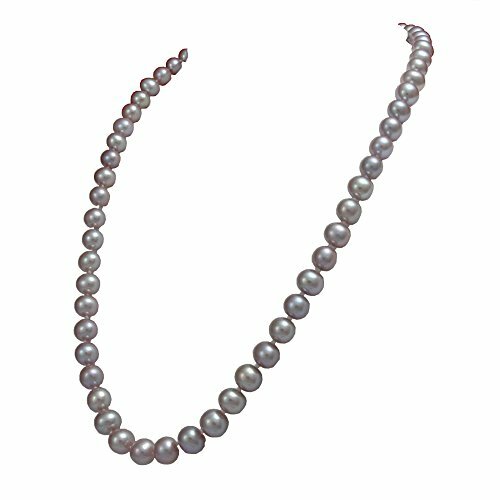 The cultured pearl is AAAA Quality, with very high luster and clean surface. Trendy and astonishing, this necklace makes an ideal gift for her. This jewelry is hand made by our skilled jewelers in USA and quality controlled strictly by our cultured pearl experts. It comes with a high quality jewelry box and a certificate of authenticity. Chain available separately.Akoya Cultured Pearls Akoya Cultured pearls are mainly grown in ocean salt waters of Japan and China. They are the most popular cultured pearls in the world for their roundness beauty, classic and ultra-modern look, and appealing high luster. Japanese Akoya cultured pearls tend to be of a higher quality than Chinese Akoyas. About Premium Pearl, IncPremium Pearl, Inc is a team of highly skilled cultured pearl experts, jewelers, and jewelry designers. We travel around the world to find the most beautiful cultured pearls used in our jewelry. Premium Pearl, Inc has been featured in major publications such as Audrey Magazine, L.A. Brides, and USA today. Elegant and beautiful! 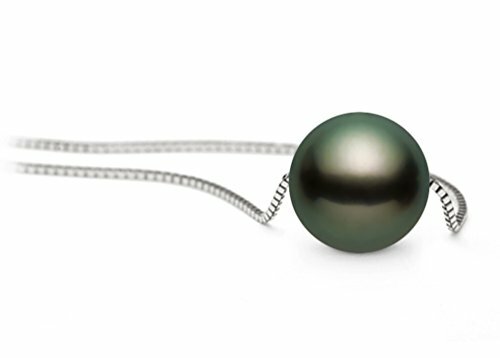 AAAA Japanese Akoya cultured pearl pendant necklace! These AAAA white Akoya cultured pearls are measured at 6.0mm, harvested in the cold water just off the northern coast of Japan, they form a glow only offered by a longer growing season. Cultured pearls are perfectly round with very good luster, thick nacre, and clean/smooth surface. They are AAAA quality the highest grade of these cultured pearls. 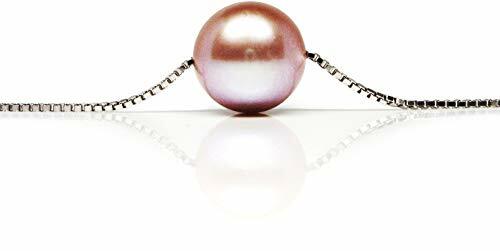 The rareness of the cultured pearl's impressive top quality making them truly one of a kind. 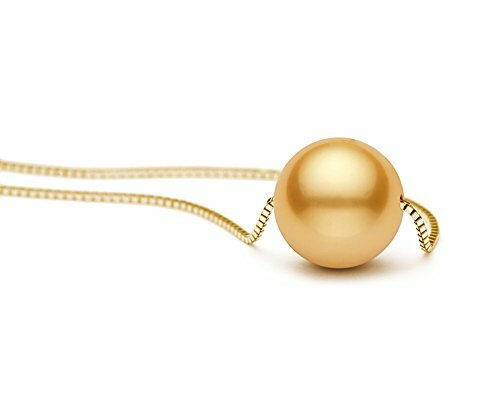 The cultured pearl pendant necklace finished with 14K yellow gold plated on 925 sterling silver setting and 18 (1.2 grams) inch matching box chain. Perfect gift for wedding jewelry, bridesmaid jewelry, bridal jewelry and they are also great gifts for special occasions, mother's day, birthday, graduations and anniversary. This pendant necklace comes an elegant blue leatherette gift box wrapped in a stylish quilted patterned paper to ensure the most beautiful presentation possible and a certificate of authenticity to verify the quality and source of the cultured pearls. All our cultured pearls are certified by GIA (Gemological Institute of America) Cultured Pearls Graduate to make sure the strictest of standards! Freshwater cultured pearl necklace! Lavender cultured pearl necklace is adorable, beautiful and dazzling. Cultured pearls are measured at 6mm, and near-round with good luster, clean surface. It's AA quality the good grade of these cultured freshwater cultured pearls. Necklace is measured at 17.5-18" in length, each cultured pearl is double strung on silk and knotted in between. Finished with a beautiful brass fish hook clasp. 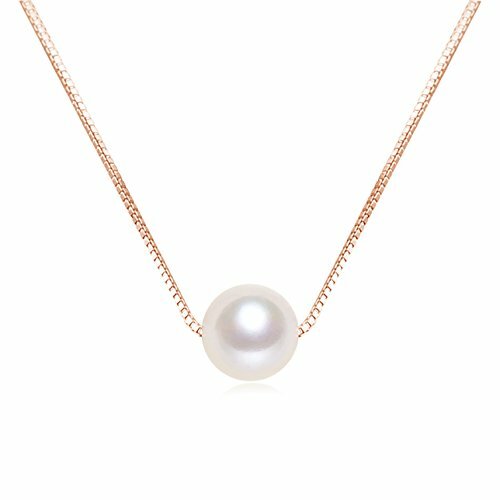 Perfect gift for wedding cultured pearl necklaces, bridesmaid jewelry, bridal cultured pearl necklaces and they are also great gifts for holidays, Charismas gifts, special occasions, mother's day, birthday, graduations and anniversary. This cultured pearl necklace comes a handmade upscale silk jewelry storage pouch to ensure the most beautiful presentation possible. All our cultured pearls are certified by GIA (Gemological Institute of America) Cultured Pearls Graduate to make sure the strictest of standards! 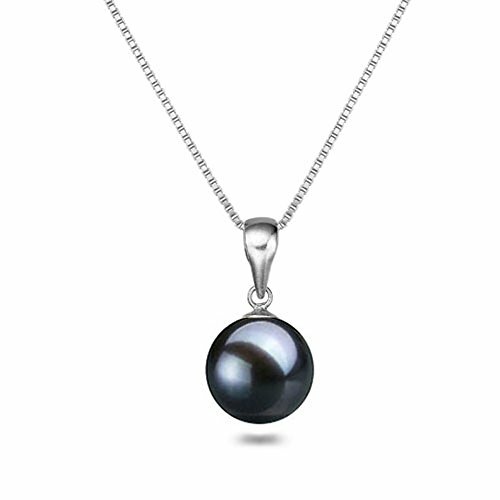 This charming black Akoya cultured pearl solitaire necklace makes a perfect gift for any occasion. The chain is 18" 14k gold box chain. The cultured pearl is AAAA Quality, with very high luster and clean surface. It is dyed black with green overtone for an eye-catching look. This jewelry is hand made by our skilled jewelers in USA and quality controlled strictly by our cultured pearl experts. It comes with a high quality jewelry box and a certificate of authenticity. Chain available separately.Akoya Cultured Pearls Akoya Cultured pearls are mainly grown in ocean salt waters of Japan and China. They are the most popular cultured pearls in the world for their roundness beauty, classic and ultra-modern look, and appealing high luster. Japanese Akoya cultured pearls tend to be of a higher quality than Chinese Akoyas. About Premium Pearl, IncPremium Pearl, Inc is a team of highly skilled cultured pearl experts, jewelers, and jewelry designers. We travel around the world to find the most beautiful cultured pearls used in our jewelry. Premium Pearl, Inc has been featured in major publications such as Audrey Magazine, L.A. Brides, and USA today. Elegant and beautiful! AAAA Japanese freshwater cultured pearl pendant necklace! These AAAA white freshwater cultured pearls are measured at 11.5mm, harvested in the cold water just off the northern part of Japan, they form a glow only offered by a longer growing season. Cultured pearls are perfectly round with very good luster, thick nacre, and clean/smooth surface. They are AAAA quality the highest grade of these cultured pearls. The rareness of the cultured pearl's impressive top quality making them truly one of a kind. 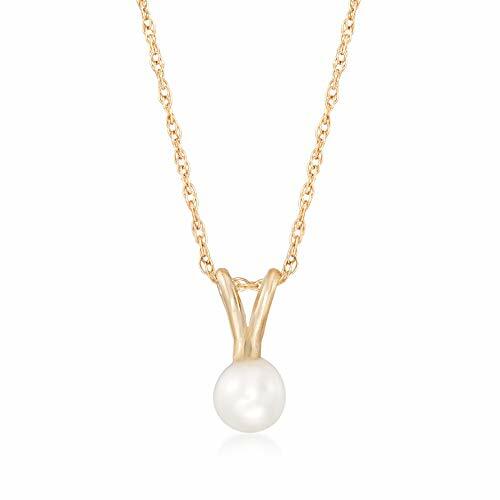 The cultured pearl pendant necklace finished with 14K yellow gold plated on 925 sterling silver setting and 16 (1.1 grams) inch matching box chain. Perfect gift for wedding jewelry, bridesmaid jewelry, bridal jewelry and they are also great gifts for special occasions, mother's day, birthday, graduations and anniversary. This pendant necklace comes an elegant leatherette gift box wrapped in a stylish quilted patterned paper to ensure the most beautiful presentation possible and a certificate of authenticity to verify the quality and source of the cultured pearls. All our cultured pearls are certified by GIA (Gemological Institute of America) Cultured Pearls Graduate to make sure the strictest of standards! 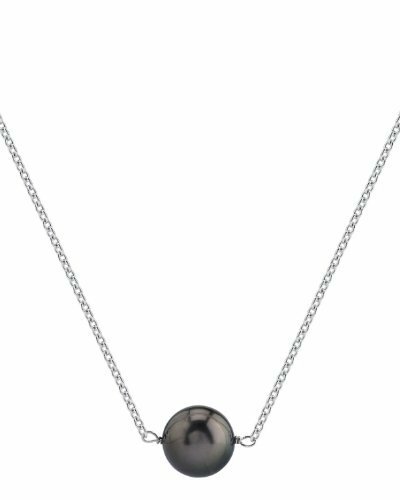 This 12mm Tahitian South Sea pearl pendant is made with a gorgeous AAA quality pearl with Very High luster. All Tahitian South Sea pearls are imported directly from the lagoons of Tahiti. 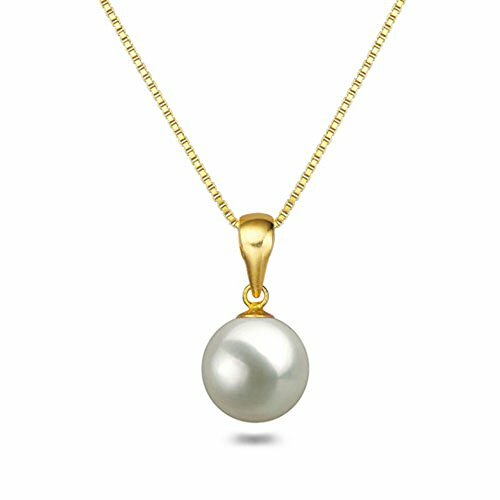 This pearl pendant is comprised of the highest quality 14K gold (see specification table for exact gold weight). This pendant is available in white and yellow gold, and multiple pearl sizes may be selected. All pendants come standard with an 18" matching gold chain. All of our pearl pendants are made on site, and our experienced staff of GIA certified specialists pay careful attention to all details in order to create a truly beautiful pearl pendant. The pearl pendant comes in a beautiful jewelry gift box. All products come with a genuine cultured pearl guarantee, verifying the quality and source of the pearls. Elegant and beautiful! 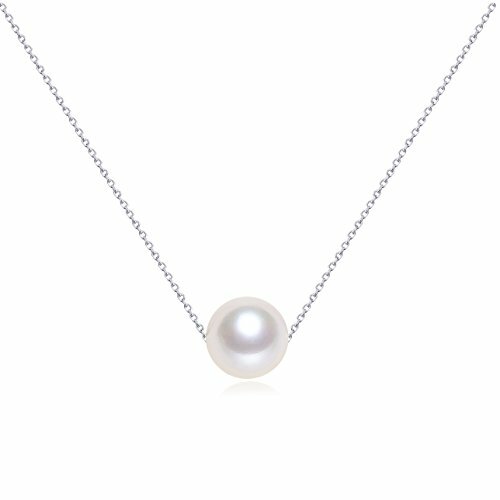 AAAA Japanese freshwater cultured pearl pendant necklace! These AAAA black (dyed) with blue overtones freshwater cultured pearls are measured at 12.5mm, harvested in the cold water just off the northern part of Japan, they form a glow only offered by a longer growing season. Cultured pearls are perfectly round with very good luster, thick nacre, and clean/smooth surface. They are AAAA quality the highest grade of these cultured pearls. The rareness of the cultured pearl's impressive top quality making them truly one of a kind. The cultured pearl pendant necklace finished with 14K white gold plated on 925 sterling silver setting and 16 (1.1 grams) inch matching box chain. Perfect gift for wedding jewelry, bridesmaid jewelry, bridal jewelry and they are also great gifts for special occasions, mother's day, birthday, graduations and anniversary. This pendant necklace comes an elegant leatherette gift box wrapped in a stylish quilted patterned paper to ensure the most beautiful presentation possible and a certificate of authenticity to verify the quality and source of the cultured pearls. All our cultured pearls are certified by GIA (Gemological Institute of America) Cultured Pearls Graduate to make sure the strictest of standards! Elegant and beautiful! 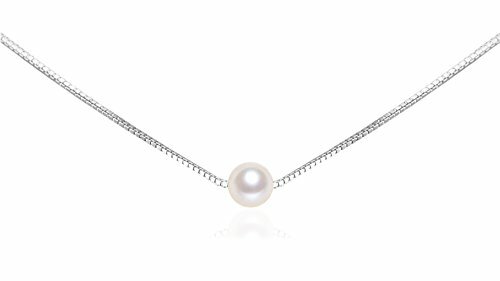 AAAA Japanese Akoya cultured pearl pendant necklace! These AAAA white Akoya cultured pearls are measured at 9.0mm, harvested in the cold water just off the northern coast of Japan, they form a glow only offered by a longer growing season. Cultured pearls are perfectly round with very good luster, thick nacre, and clean/smooth surface. They are AAAA quality the highest grade of these cultured pearls. The rareness of the cultured pearl's impressive top quality making them truly one of a kind. 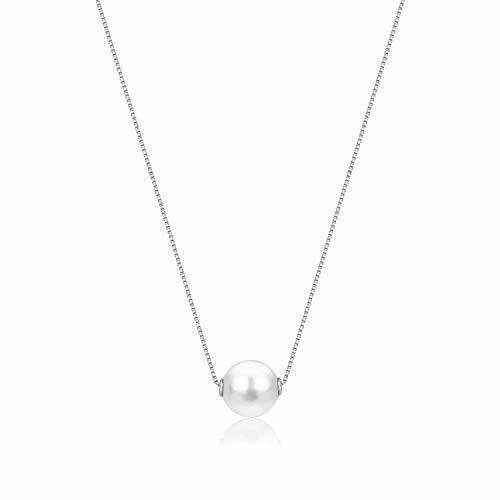 The cultured pearl pendant necklace finished with 14K white gold plated on 925 sterling silver setting and 16 (1.1 grams) inch matching box chain. Perfect gift for wedding jewelry, bridesmaid jewelry, bridal jewelry and they are also great gifts for special occasions, mother's day, birthday, graduations and anniversary. This pendant necklace comes an elegant blue leatherette gift box wrapped in a stylish quilted patterned paper to ensure the most beautiful presentation possible and a certificate of authenticity to verify the quality and source of the cultured pearls. All our cultured pearls are certified by GIA (Gemological Institute of America) Cultured Pearls Graduate to make sure the strictest of standards! This beautiful Golden South Sea pearl pendant is made with a gorgeous AAA quality pearl with Very High luster. All Golden South Sea pearls are imported directly from the pearl farms of The Philippines. 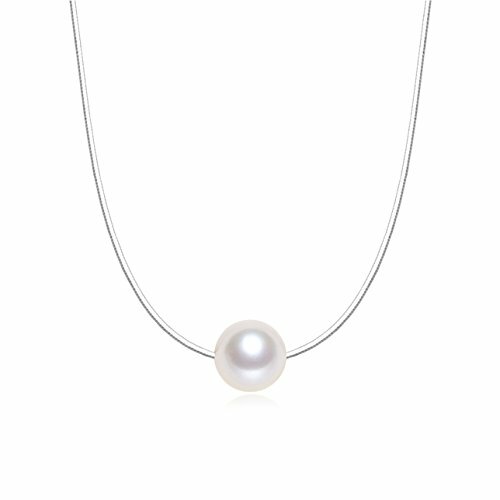 This pearl pendant is comprised of the highest quality 14K yellow gold (see specification table for exact gold weight). This pendant is available in multiple pearl sizes. All pendants come standard with an 18" matching gold chain. All of our pearl pendants are made on site, and our experienced staff of GIA certified specialists pay careful attention to all details in order to create a truly beautiful pearl pendant. The pearl pendant comes in a beautiful jewelry gift box. All products come with a genuine cultured pearl guarantee, verifying the quality and source of the pearls. 17" Gorgeous single pearl necklace on bead chain. The pearl is set in such a way that it will slide and turn on the chain thus giving it a very lively unique look. With the color options on pearl and gold plating you are sure to find the one that is just right for you!